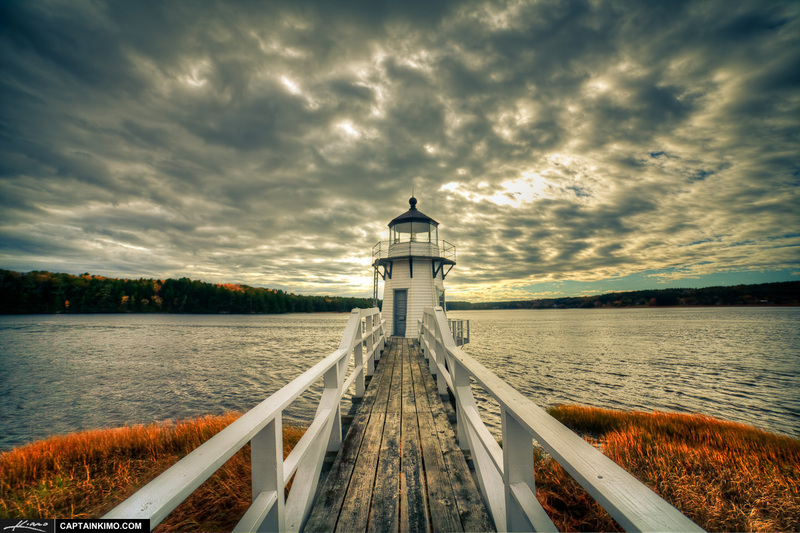 The smallest Lighthouse I have ever come across is this one from Arrowsic, Maine. Called the Doubling Point Lighthouse, this one was way out in the boonies. I had to drive through some back roads to reach it. But when I got there it ended up being one of the more interesting lighthouse set in the middle of a waterway.